If Select All were a can of LaCroix, we’d look like this. And we’d probably taste like a meme think-piece. 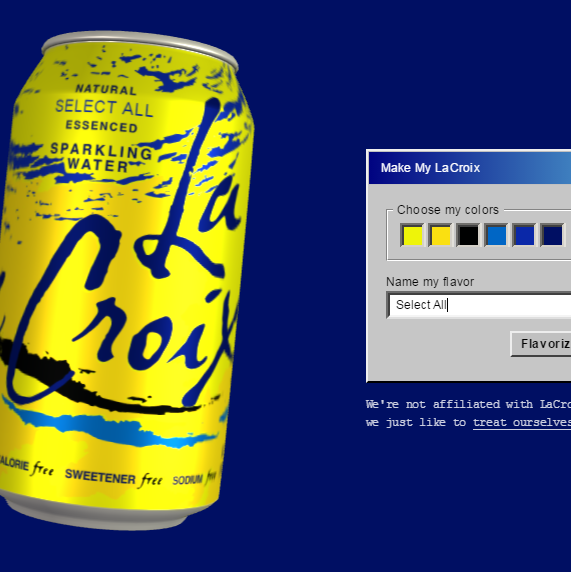 Now the LaCroix-obsessed can take their love affair to the next level with the My LaCroix generator. 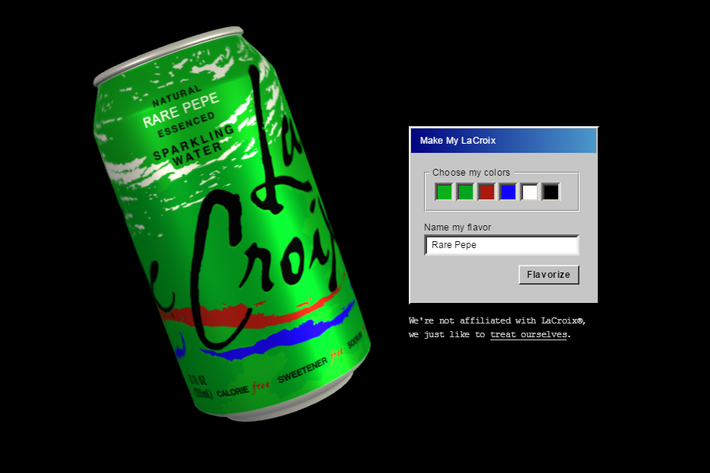 The website (a creation of Nelson Cash, a creative studio based out of Chicago) presents you with a spinning can of LaCroix. From there you can select six colors to personalize your can and add your flavor name of choice. When you’re done, click “Flavorize” to create your can and opt to tweet, GIF, or download your creation.